We have data confirming our fear: full service restaurants in New York City are shedding jobs. It’s no surprise why. Increasing labor costs, burdensome regulations, and high rents are putting unprecedented economic pressure on our city’s small business owners. If NYS Governor Andrew Cuomo and the state legislature don’t want more vacant storefronts lining our city streets, and lost jobs, they must preserve the restaurant industry tip credit in its current form. According to data from the state’s Department of Labor, in 2018, full-service restaurants recorded a -1.6% job loss, which is their first recorded annual job loss in nearly two decades. To put that figure in context, even in the depths of the Great Recession restaurants posted a +.1% job growth in 2009. This means that 2018 was worse for restaurant jobs than the Great Recession, and overall jobs were down -3.9% in January 2019. After the recession, the city’s restaurants saw robust annual employment growth that slowed after the state’s restaurant tip wage increased in 2015 and since doubled. To put in perspective, in 2014 there was 6.7% growth in full service restaurant jobs, and in 2018 there was an unprecedented loss of -1.6%. So, during the time period when the tip wage increased 100%, job growth dropped 124% and became job loss. 76% of full-service restaurant respondents reported that they reduced employee hours, and 36% eliminated jobs in 2018, in response to mandated wage increases. 74% of respondents reported they will reduce employee hours, and 47% will eliminate jobs in 2019 because of mandated wage increases that took effect on December 31, 2018. These employer projections appear to also show up in the state’s job numbers with full service restaurant jobs down -3.9% in the first month of 2019. As Governor Andrew Cuomo and members of the state legislature contemplate eliminating the restaurant industry tip credit, this data should remind them they do not operate in a consequence-free environment. New York’s small businesses and jobs are at stake. Restaurants have already shuttered, and New Yorkers have had their hours cut and lost jobs. Similarly, Mayor Bill de Blasio and the City Council should see this data as a call for small business relief that our restaurants desperately need following years of new city labor regulations and other burdensome policies. 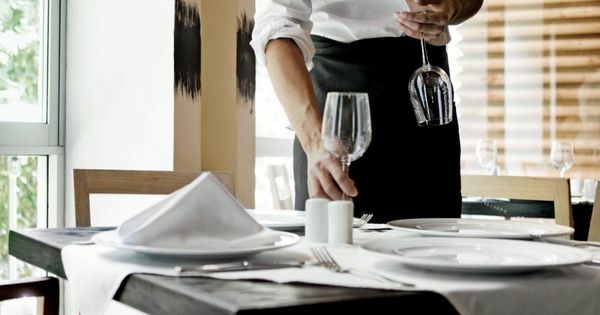 If the restaurant industry tip credit is eliminated and restaurants’ needs are ignored, data indicates that it will accelerate this alarming job loss trend, creating more vacant storefronts instead of new jobs.